A Teesside waste management company is combining with a Welsh firm to become a UK market leader in biological solutions. 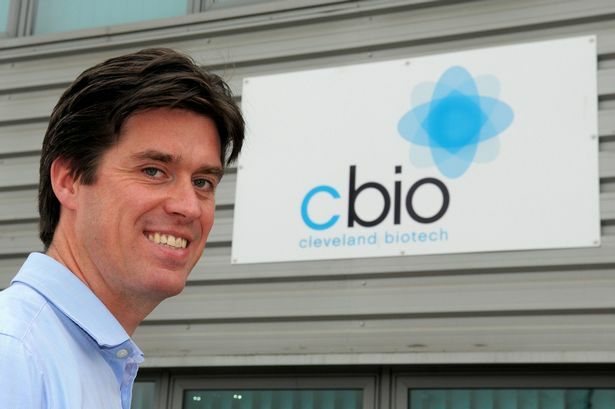 Stockton-based Cleveland Biotech (CBio) has grown rapidly since a £4.4m management buyout in 2013 led by managing director Ben Hoskyns, a move which was backed by £3m of investment from Newcastle-based NVM Private Equity. The firm creates bacterial-busting products which can break down organic pollutants including oil, grease and limescale, which are found on supermarket shelves in the UK and Europe. Now NVM has invested a further £3.5m to create a new business that will combine the knowledge and resources of Cleveland Biotech with another firm in its portfolio – Caerphilly-based Biological Preparations (BP). Established in 2008, BP specialises in the development of biotechnology solutions for a wide range of sectors including food and drink, water treatment, agricultural and cleaning services. The company formulates and blends its unique products using microbial, enzyme, plant extract, organic acid and biocide technology, all of which are supplied from its own facility in Caerphilly. The initial funding injected into the Stockton business by NVM has been used alongside the further £3.5m investment in a deal totalling £10.4m to create the new combined entity. The two firms plan to continue under their own names, but will offer the full range of biological cleaning and waste products to a wider customer base, effectively bringing together two competitors to create a greater force in the market. Ben Hoskyns, managing director of CBio, said: “There are obvious synergies between CBio and BP, especially as both businesses have been competitors. Mauro Biagioni, partner of NVM Private Equity, said: “The CBio and BP management teams have over 60 years of combined experience in the biological treatment marketing.